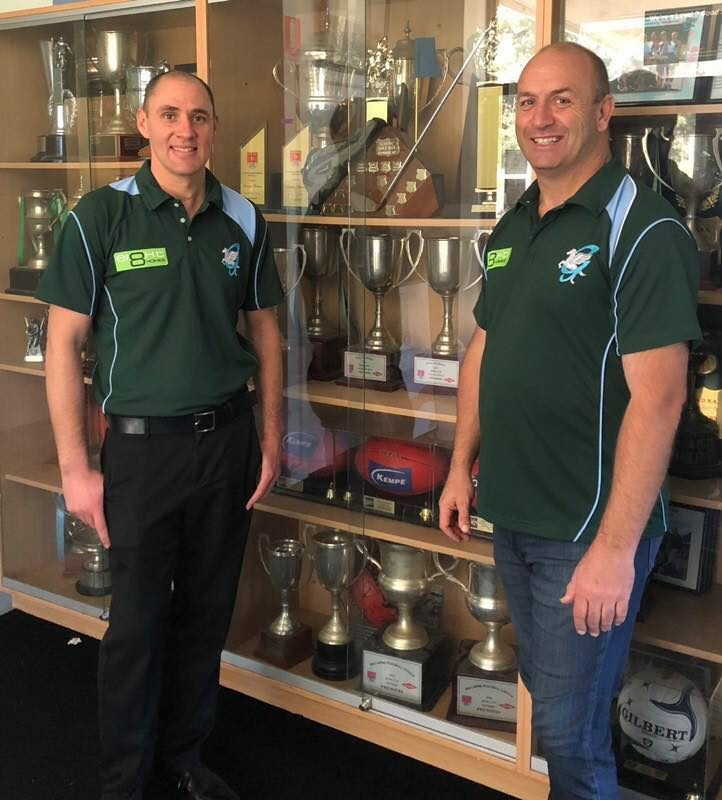 Geelong Amateur Football Club has a long and proud history, with the Senior teams competing in the Bellarine Football League under the AFL Barwon banner. The Seniors have made the finals the last six years in a row, while our Reserves team won the premiership in 2017. The Under-19 Colts have also tasted premiership success recently, winning the Division 2 flag in 2018. The Senior program is led by Football Director Gavan Clark and Senior Coach Kane Tenace (pictured below, left), along with his coaching team: Daniel Lovick, Heath Mooney and Reserves coach John Chapman. The Under-19 Colts team will be led by Head Coach Matt Murnane and his coaching team: John Hambrook and Cam Murnane. Training is held on Tuesday and Thursday 5:30pm-7.30pm at Queens Park, Highton with games played on Saturdays: Reserves (12:00pm), Seniors (2:10pm). All enquiries regarding the Senior Football Program should be directed to Football Director Gavan Clark on 0438 440 025 or gclark@connecttel.com.au or alternatively addressed through our contact form. The Club also has an extensive Junior program, beginning with Auskick and fielding teams at all levels from Under-9, U-10, U-11, U-13, U-15, U-17, as well as the Under-19 Colts team. The Junior program is led by our Junior Football Chairperson Gavin Dowling and is supported by a full complement of coaches and a hard-working committee.